If royal exuberance and aesthetic splendor top your list of experiences in Rajasthan, then Jaipur is your destination. Also known as the Pink City, it represents complex primordial traditions and cultural superiority. Naturally, Jaipur is one of the best places to tickle your taste buds with the authentic Rajasthani cuisine, which everyone who ever tasted would agree. Take, for instance, Rajasthani thali or Lal Maas. What do you get? An explosion of flavors! A riot of colors! And a symphony of countless ingredients! In short, Rajasthani food is pure poetry presented on a plate! And, what makes the region’s food such a gastronomic delight? Everything! From ingredients to cooking methods, everything about it is just ‘wow’! 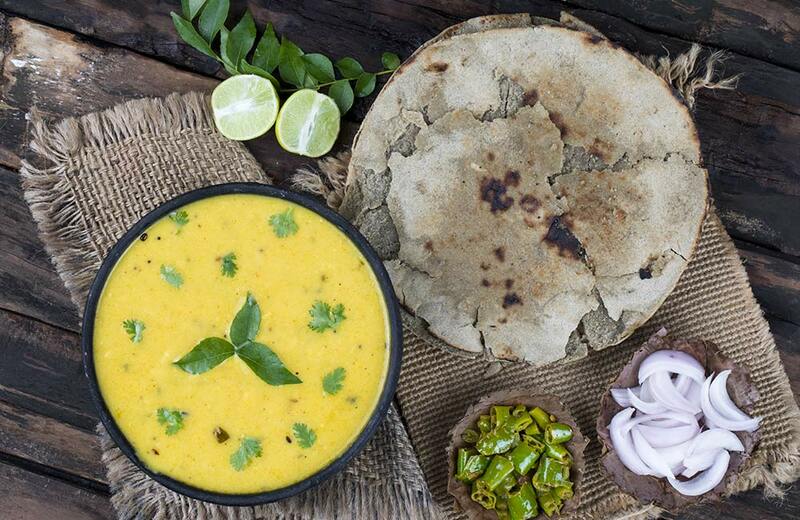 The use of regionally grown ingredients, such as desert beans and berries, dried mangos, fresh turmeric, red chilies, local grains and gram flour in the preparation of signature dishes like Banjara Gosht and Dal-Bati-Churma demonstrates the resourcefulness and creativity of Rajasthanis. Just like the architecture in Jaipur, the food here is impressive with sophistication and flavors joining hands to color your soul ‘pink’ with desire. We have curated a list of 10 best restaurants in Jaipur that dish out a luxuriant mélange of traditional Rajasthani meals. Get ready for hours of surreal indulgence in this magnetic Pink City. Fine dining is a treat many of us occasionally or rarely give ourselves, so make sure that the experience counts. Here is a list of fine dining restaurants where you can pamper yourself with some mouth-watering food, with grand ambiance and royal décor serving as mood enhancers. This award-winning restaurant is nestled inside the imperial Amer Palace. Featuring an open-air courtyard that is canopied by the star-studded night sky, the restaurant serves an amalgamation of Mughlai, Rajasthani and North Indian delights. The gold-enameled walls, plush chairs, and the opulent tables can make any special occasion seem like a regal affair. A formal dining room and a private dining space decked up in silver and gold cater to the privacy of the who’s who of the city dining here. And the food? Dishes that were closely guarded by the royal chefs for centuries are served in a royal setup that recreates the aura of the Kachwaha clan. 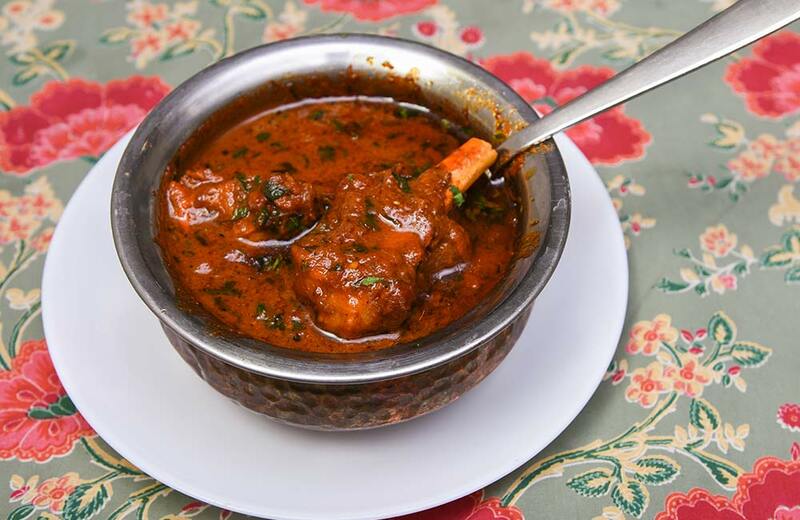 Lal Maas is the specialty here, which is a curry made with succulent pieces of mutton prepared in yogurt sauce that is infused with the right blend of garlic, red mathania chilies, and other spices. 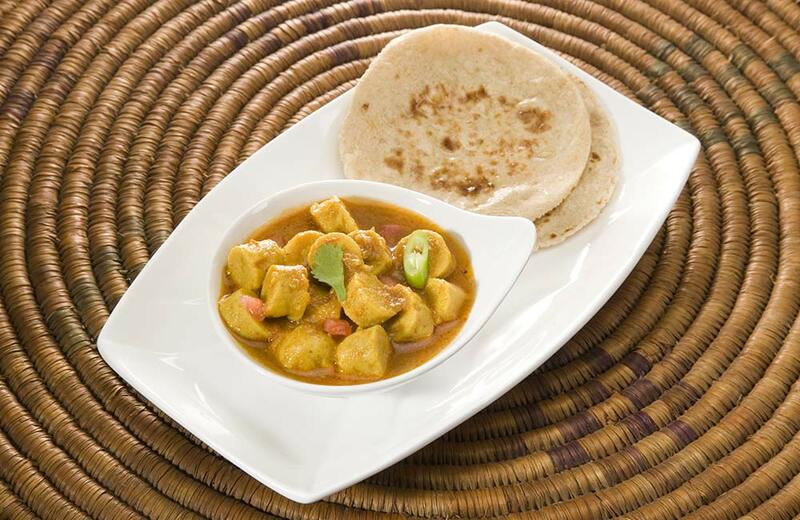 This aromatic gravy goes well with Indian bread items, such as roti and naan. The melt-in-the-mouth desserts served here are definitely worth the visit, while the old-world charm just floors every visitor. So, drop in at 1135 AD, eat like royalty, and be treated like one! 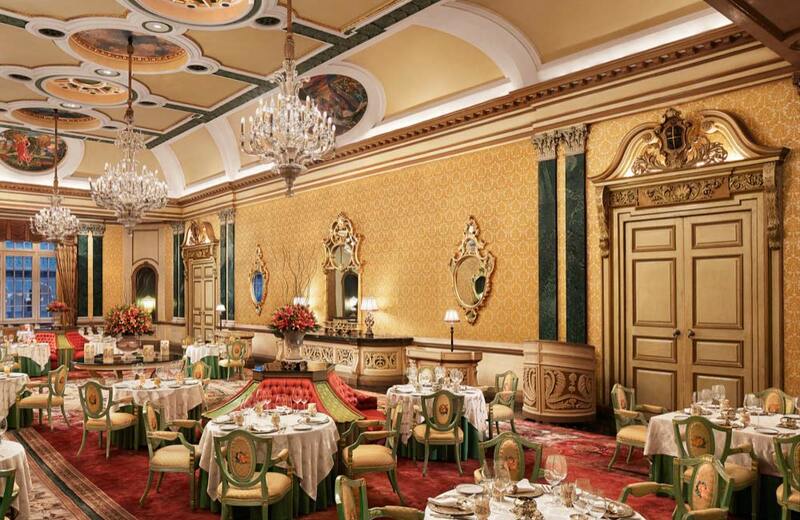 Just like the name suggests, this plush restaurant which is the flagship dining venue at the palatial Rambagh Palace hotel run by the Taj Group is all about luxury. The Victorian interiors, Florentine ceiling decked with paintings and mirror-work, opulent tapestry and exorbitant silverware only make the experience more worthwhile. The live classical music resonates in the dining hall, which is quite reflective of the Maharaja’s tasteful lifestyle. Add to this mix a glass of vintage wine from the restaurant’s in-house cellar, and you get a fine-dining experience to cherish for a lifetime. The food here is, for want of a better word, awesome! Original dishes from the royal houses of Jaipur, Mewar, and Awadh are captured in the menu. From Jodhpuri Gatte and Murgh Ka Shorba to Lal Maas, you get everything here, that too with a touch of splendor. The top-class service and mouth-watering delicacies offer you a throw-back to the grandeur of the generations of royals who witnessed courtly pleasures for centuries. The regal elegance of the Rajputs makes this gourmet theatre irresistibly resplendent. The rich dishes that constitute the royal spread served here have been adapted from the princely states of India, of which Rajasthan is a gem. Creating a whimsical aura in the minds of the diners are the signature offerings, especially the traditional Rajasthani thali. The décor of Cinnamon requires special mention. Composed in varying shades of pink, mauve, purple, and magenta, the walls and ceiling reiterate the fact that pink is the new red. Exquisite Rajasthani cuisine and hospitality blend well to give you a large slice of royal pomp and glory. This place specializes in freshly made ice cream. Any guesses on the flavor? Cinnamon, of course! We recommend that you make a reservation in advance since this is one of the most sought-after restaurants in Jaipur. Do you think Rajasthan’s rich and royal dishes can be found only in fine-dining places and five-star restaurants? Think again, my friend! When in Jaipur, you are sure to find authentic and local flavors everywhere, from budget restaurants and casual dining places to street stalls. Here are a few must-try food havens. Coming down to the most authentic way of accessing satvik Rajasthani bhojan, i.e. street eating, Laxmi Mishthan Bhandar is the foremost street food haven in Jaipur. Here, you can gorge on local delicacies that are simply unaltered and unadulterated. In the bustling streets of Johari Bazaar, you will find a neatly done, air-conditioned eatery that is thronged by hundreds on a daily basis for the real taste of Rajasthan. 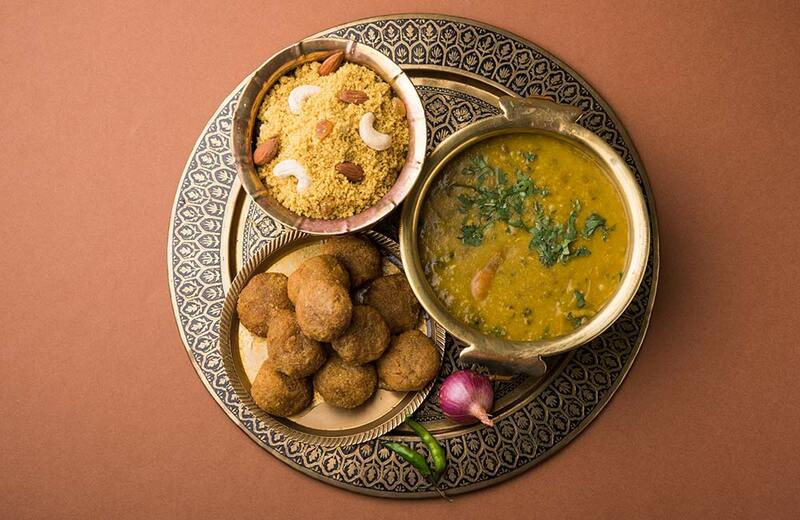 The thalis here are drool worthy; so is the dal-baati-churma, a local delicacy, which is actually a combination of three dishes with the healthiest of ingredients like lentils, pure ghee, hard round wheat and yogurt-blended bread, and coarsely grounded wheat mixed with sugar and ghee. All of you with a sweet tooth are in for a treat here with the milk cakes, ghewar and jalebis all waiting to be devoured. The mirchi vadas, kachoris, and every savory in between can elevate your senses. Laxmi Mishthan Bhandar testifies to the fact that even the royal flavors of the Pink City can come at budget-friendly prices. If you want to explore the earthy flavors of Rajasthan early in the morning, then this is the right place for you. 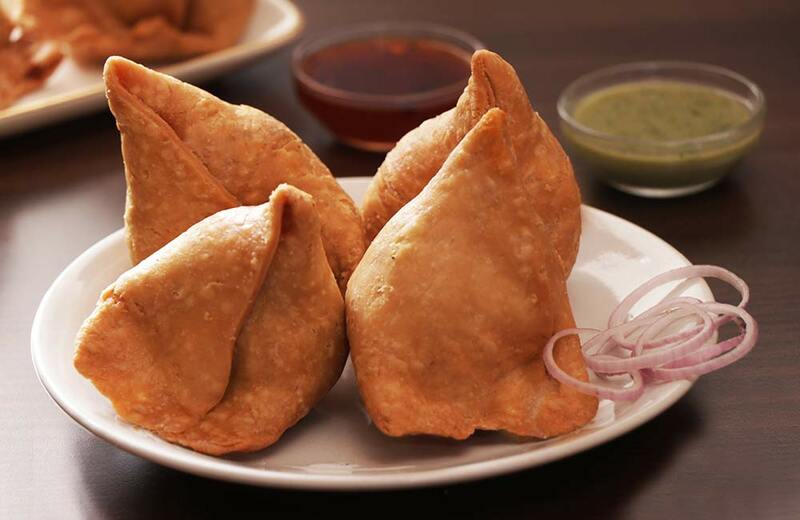 The kachoris that are available in a multitude of styles and flavors would remind you of school or college days; the other savories spell layers of bliss. The sweets melt in your mouth like butter, with their heavenly taste being registered on your taste buds forever. 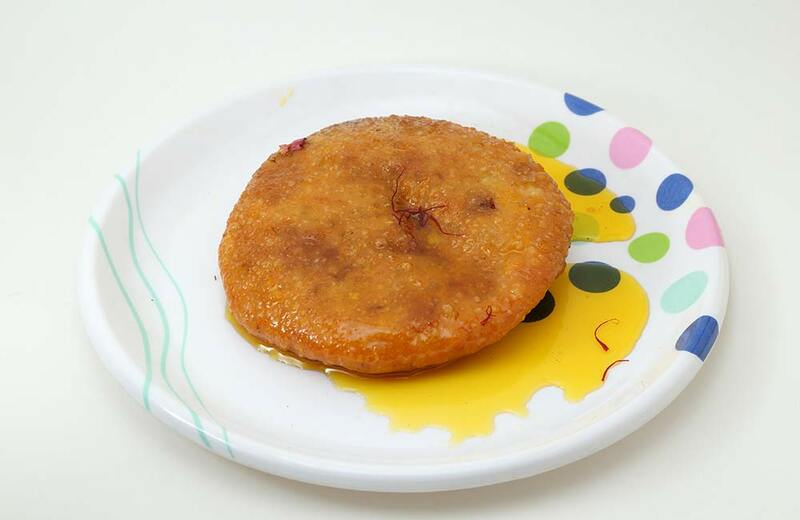 The ghewar, a disc-shaped desert that is made of flour and sugar syrup, and the mirchi vadas served here need special mention as these really do entice the soul. This is one place you would want to spend your cheat day at! Every person living in Jaipur would recommend this warm and welcoming place for a quiet dinner or a loud family bash. A beautifully set courtyard houses rows of tables with verdant surroundings that make this place perfect for soirees and romantic dinners. You also have an indoor dining area, where the air-conditioned air seldom makes you realize you are in a place with generally hot weather. The gamut of Rajasthani dishes available here are like an oasis in the desert for foodies; these can set your mood right after a busy day. The deeply flavored Jungli Maas is lip-smackingly scrumptious, but Keema Bhatti is the real star of the menu. Warm hospitality with the eclectic ambiance and the wondrous food served here make Spice Court a must visit in Jaipur. This famous village-themed resort in Jaipur enchants visitors with a display of the cultural splendor of the region that includes the folk dance and the rhythmic beats in the background. While you are here, take a camel ride, which is known to increase your appetite before the deep dig at the ghee-based delicacies at the venue. The colorful thalis served at Chokhi Dhani with an array of flavors just lock you into momentary bliss. Offering healthy and wholesome meals in organic and biodegradable receptacles, this place commands that every soul that goes to Jaipur should never return without treating themselves to the tantalizing thalis here. One of the best vegetarian restaurants in Jaipur, it is an ideal place to spend an entire evening with friends and family. Rustic Rajasthan and its heritage can be experienced at Shri Thaal Village, one of the best restaurants in Vaishali Nagar, Jaipur. Here, the chief dictum is Padhaaro Saa, which means welcome salutation in the native language. The warmth and conviviality of the people of the region are evident in this restaurant that offers varied flavors of sweet and spicy to diners. The authentic village set-up with the fort backdrop, puppet show, traditional service, music, and villager mannequins, stimulate the joy of eating here. This is a perfect place to orient children and adults with the magnificence of Rajasthani food, customs, and ethos at affordable rates. Known for prompt service and delectable thalis, SPB is an open-hearted and flamboyant restaurant serving satvik food at affordable prices. 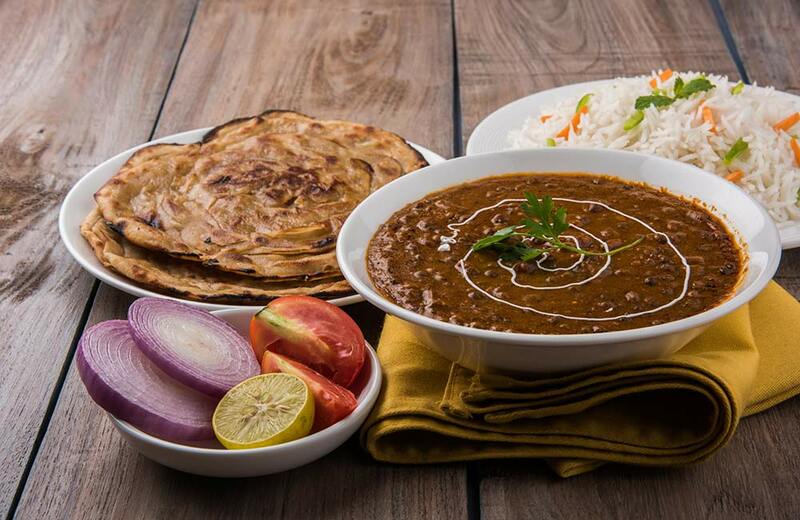 This place is ideal for hosting large groups who want to feast on the array of delights like dal, dry snacks, khichdi, rotis, rice and traditional kadhi. The appealing presentation and the genuine flavors of the food make this place a regular destination among foodies in Jaipur. This place is a provider of ah-mazing Rajasthani food, to say the least. Three types of thalis are served here to make decision-making an easy job for the guests. 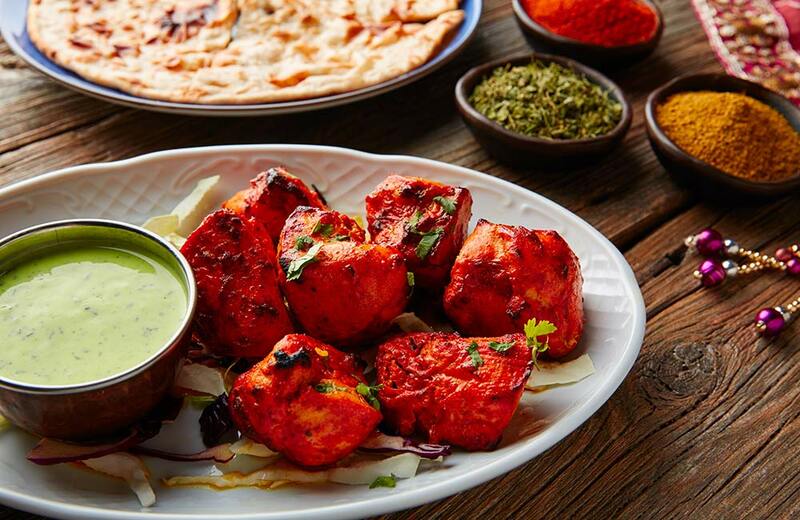 With veggie delights like paneer butter masala, creamy kofta, dal makhani, raita, veg pulao, kulcha, naan, papad, and gulab jamun, the menu also has à la carte options that make it perfect for those who are not that into thalis. The ice creams and desserts offer a fairy-tale ending to the culinary experience at this restaurant par excellence. The best part is that it is an eat-all-you-can venue, which is great news for the extra-hungry foodies in the Pink City. Whether it is healthy eating, sweetness overload, light flavors, rich relishes, piquant punches, or tangy tantalizers, Jaipur has got it all. 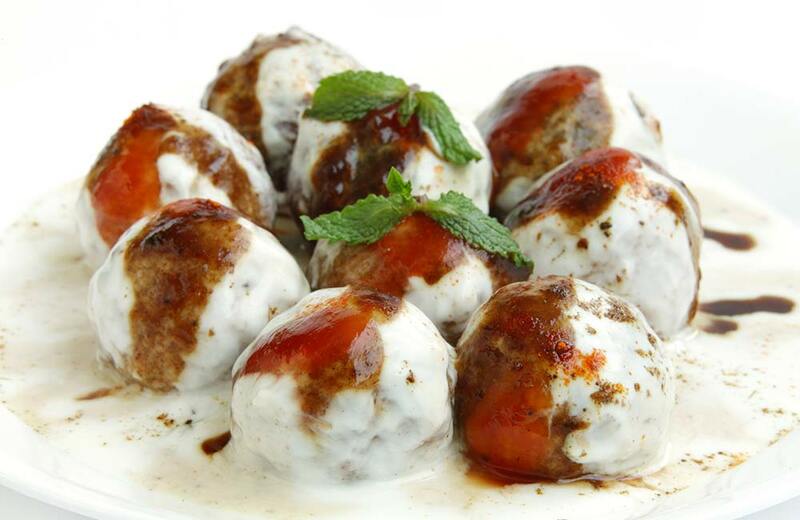 The versatility and the culinary awesomeness of the Rajasthani cuisine found in the city, backed by an opulent heritage, have been appealing to the foodies and connoisseurs worldwide. So, what are you waiting for? Step out of your hotel in Jaipur and start exploring the city because in Jaipur, you will find history, culture, and heritage, sometimes on the street and sometimes on a plate!